Smartphone displays have developed a lot in recent years. Starting off with the IPS LCD displays, we now have AMOLED and Super AMOLED displays which produce crisp images. The advantage of these AMOLED displays comes as a gift to the users. Although AMOLED displays do not come in those mid-range smartphones, flagship device users have various perks. Again, the main advantage for the AMOLED displays come with deep black colors as the pixels go dead. As a result, it helps in increasing the battery backup and protecting your eyes at night. 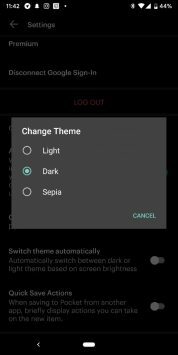 So, here we are with five of the best dark theme apps which are available on the Google Play Store. Pocket is one of the most popular reading apps out in the market. You can use the app to create your own boards, curate the content with only the topics you really want. 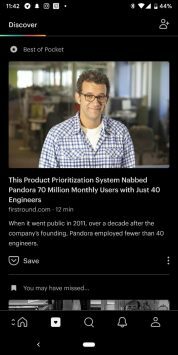 You can actually save the articles for offline reading through all your devices. And yes, this app has got many customizations to opt for. 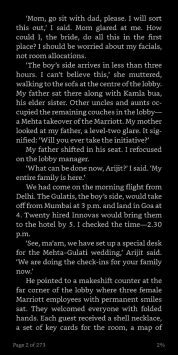 The main one being the dark mode or sepia mode which helps in reading at nights. Ultimately, this will work the best on AMOLED screens also to increase the battery backup. The next one in the list is the Amazon Kindle reading app which is a pretty famous one out there. The user interface of the app is simple and the app has plenty of ebooks from around the world. 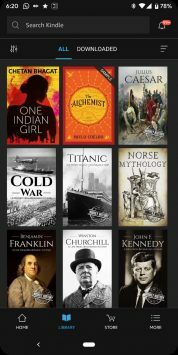 If you also own an Amazon Kindle device, the books you get here will be automatically added to your Kindle device. 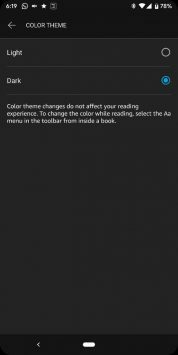 In your smartphone, you also get a dark mode to strain your eyes lesser or whenever you are reading in the dark. Although the dark mode in this app is dark grey, you can easily set it to deep black using the ‘Aa’ menu in the app. Kiwi browser is based out on the Chromium which offers a lot of features out of the box directly. The main feature it has what many other web browsers don’t is the Cryptojacking protection which protects the users from the hackers who steal your crypto-currency. The browser has a dark mode which works exceptionally well on the AMOLED display. Kiwi browser also has additional features such as ad-blocker, bottom address bar, and translation to 60 languages. After the release of Google’s own keyboard app, users started to migrate from various other keyboard apps, all thanks to the plethora of features offered by Google. 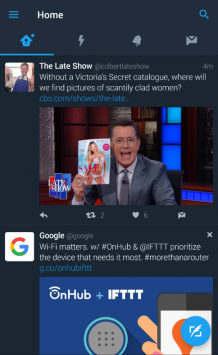 They’ve come a long way with the integration of GIFs, in-app stickers, translator, and the search bar. Apart from these features, Gboard also has theme support where you can choose from various themes or create one of your own. It has dark themes which support in the saving of battery and protecting your eyes while using the smartphone in the dark. 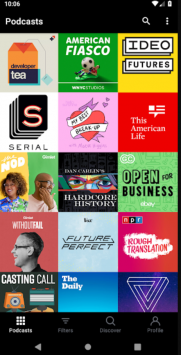 Pocket Casts is one of the favorite podcasts app for the listeners. It has got a clean and neat interface which gives the users a fluidic experience. 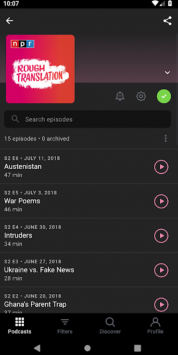 If you listen to podcasts at night in the dark, this app has a dark theme and the OLED-friendly extra dark theme which protects your eyes. 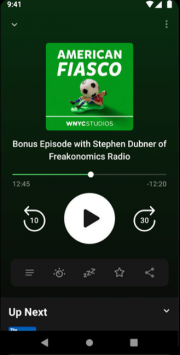 The app also has features like trimming the silence in the podcast, volume booster, and custom skip intervals. Your subscriptions will be synced in the cloud so that you can keep listening across all your devices. Twitter has been out here for a while. It introduced the dark mode as a night mode earlier which was just a grey/blue themed app. Although it helped in protecting your eyes in the dark, it didn’t necessarily make the app pitch black. With the recent update for the iOS users, there was a Lights out mode which darkened the theme much further making the pixels go dead. Twitter is also known as one of the most used social media apps. Telegram is an instant messaging app with a ton of features packed. One of the many features packed in the app is the dark mode of the app which has two modes. One being a black mode and the other being a dark blue mode. The app is known to run even on the slowest connections. There are additional features such as sending any type of files without any limit and instant syncing across all your devices. One of the major parts of Google is YouTube. With much effort, Google is doing everything it could to deliver the content at its best and comfortable form. With that being said, after multiple updates with many added features, YouTube finally got a dark mode which will darken the whole theme of the app. It helps in watching or searching for videos in the dark. Snapseed is not just another photo editing app that we have on the Google Play Store. It is made by Google and is one of the powerful and efficient photo editing tools that we can find on Android. Considering the number of powerful tools in the app, we often find ourselves using the app for long periods while editing. For that, the app has got you covered with the dark theme that is available in the setting. Down to the Facebook Messenger, it is equipped with all the features which we all could never ask for. But, it was lacking the dark mode until recently. It can be enabled with a simple technique. All you got to do is open up your Messenger app and send someone a moon emoji which has no smileys on it. Then the moon emojis will fall down into your screen and there will be pop-up asking you to turn on the Dark Mode. 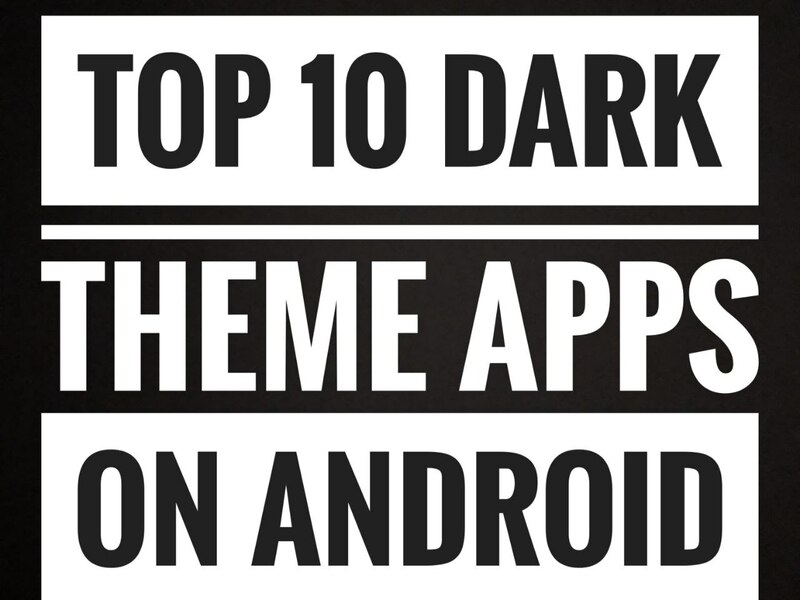 The above-listed apps are the top ten dark theme apps that we found. There are many other apps which have a dark theme as an option. If you think other such apps haven’t made it into the list, let us know in the comments section below.